One of the biggest appeals for doing media work, in my opinion, is being given the opportunity to reach large numbers of people, you wouldn’t otherwise reach, with important information. I think it’s important to bring awareness to the different causes out there, especially when they are lesser known, because I know that there are countless other people who are unaware of them as well. Now, I also condone doing your research. There are wonderful charity efforts out there and while I support the ideas, causes and fund raisers, you must make sure you are comfortable with the organization.There are a lot of thing that go along with charities, including how your donations are managed and who actually receives the benefits. I am a host at AfterBuzz TV, www.afterbuzztv.com where we do after-show podcasts for various shows that are on TV. 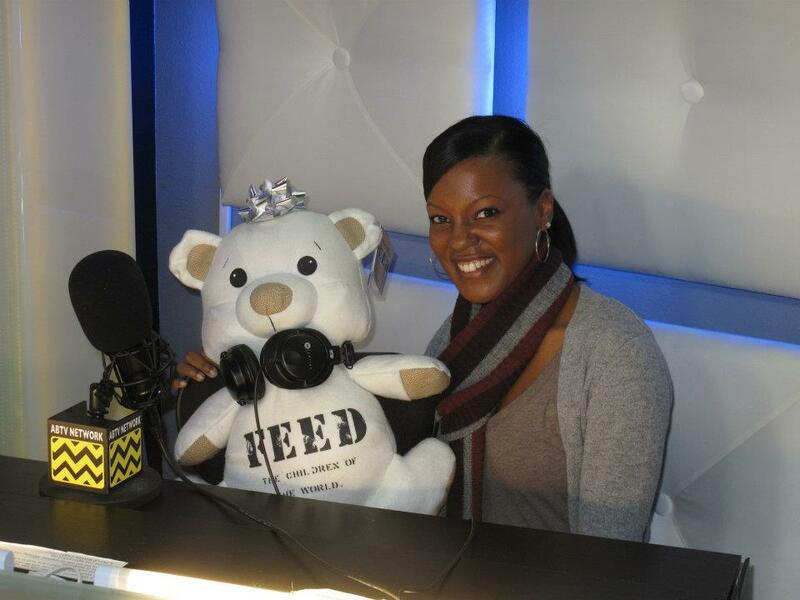 My AfterBuzz TV Scouted after-show co-hosts last night were Jackie Miranne and Brittany Brower, who were calling in from NY and FL, but my in-studio co-hostlast night (pictured above) was a special teddy bear! Maria Kanellis, host of the WWE after-show, brought the bear in, and we decided it was the perfect opportunity to have him there and to promote his cause. The FEED 5 (and FEED 3) Bear is made in partnership with FEED Projects to raise funds to feed severely malnourished children under the age of five. A portion of the proceeds from the sale of each FEED 5 (and FEED 3) Bear goes directly to the creation and distribution of Plumpy’Nut®, a lifesaving therapeutic food paste, through the non-profit Edesia. Each FEED 5 Bear that is sold will provide Plumpy’Nut® treatments to five children (and 3 children with the purchase of the FEED 3 bear). For more information, go to www.feedprojects.com amd www.teddysharebears.com. This is a great idea for a holiday gift, but it also is a wonderful gift idea any time of the year!